And read this Three Cups of Coffee Daily Keep The Doctor Away. Apparently, those who drink 3 cups or more coffee daily tends to live longer than non-drinkers. So here is the explanation of the benefits of having coffee, daily. Better Health & Smarter | Coffee contains stimulant (caffeine) that once consumed, will travel to the brain via the bloodstream. In the brain, caffeine blocks an inhibitory neurotransmitter called Adesonine which will heighten the amount of other neurotransmitters like norepinephrine and dopamine. The increase of the other neurotransmitters leading to enhanced firing of neurons thus improves energy levels, mood and various aspects of brain functions. Helps to Burn More Fat | Caffeine is one of the very few natural substances that have been proven to aid fat burning. Studies show that caffeine can boost the metabolic rate by 3 - 11%. Other studies show that caffeine increases fat burning up to 10% in obese individuals and 29% in lean people. With the right combination of Min Kaffe, BV Alfalfa and Garlic Pills, we have proven that you could lose more weight faster and healthier too. Just look for testimonies in my previous posts. Improve Physical Performance | Caffeine increases Epinephrine (Adrenaline) levels thus make the body ready for intense physical exertion. The broken down body fat caused by fat cells will be sent into the blood as free fatty acids and available as fuel. So, have a cuppa before hitting them gym os you could be energetic. I drink Min Kaffe before my 1 hour daily working out. Lower The Risk of Type II Diabetes | Some studies show that coffee drinkers have 23-50% (as high as 67%) lower risk of getting the disease. 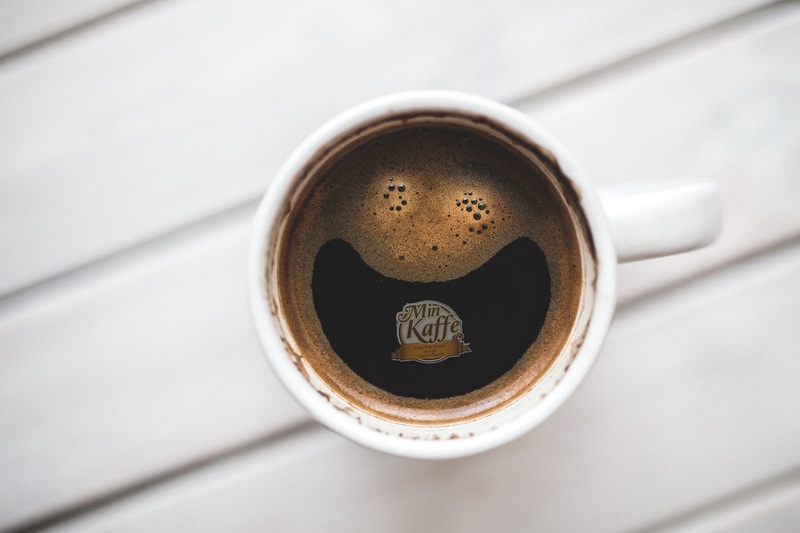 A few testimonies of Min Kaffe drinkers show a significant decrease in their blood sugar level. A friend of mine, who is diabetic, can only drink Min Kaffe as it helps her to stabilise her sugar level. Lower Risk of Cancer & Stroke | Studies show that coffee drinkers have 40% lower risk of liver cancer and 15% lower risk of colorectal cancer. Some studies show that women who drink coffee have a reduced risk of heart disease and 20% lower risk of stroke in all sexes. Protects from Alzheimer's Disease and Dementia | Several studies show that coffee drinkers lower the risk of getting Alzheimer' disease by 65%. Protects the Liver | The liver is one of the most vital organs in our body as it carries out hundreds of important functions. Diseases such as hepatitis, fatty liver disease and several others may primarily affect the liver. These diseases may lead to cirrhosis in which the liver is largely replaced by the scar tissue. I once had the problem of fatty liver and after consuming Min Kaffe for 6 months, no more fatty liver issue! Drink coffee for more than 4 cups daily and you will lower the risk of cirrhosis by 80%. The Biggest Source of Antioxidants | Coffee has more antioxidants as compared to both fruits and vegetables, combined! So, keep them Min Kaffe coming people! Rawlin! I just read this in MGAG meme. There is a picture of 2 Doctors sighing. "Why people hate them so much? Until wanna drink coffee and keep them away." lol. Indeed coffee helps to burn fat. Oh my I didn't even know coffee has so many benefits 😱 Thanks for the detail. Yes, coffee well known as fat burner but my body cannot stand of caffeine. How I wish I can try this. But will share this useful information to my readers. Now I can have coffee guilt-free. It sure does help in fighting depression and keeps one happy with every sip we take. Cheers!! My obsession for coffee is real! This is useful information. It's great to read and learn more about the benefits of drinking coffee. Thanks for sharing! Who else coffee lover out there?? Me...me...me... Me!!! I don't have an addiction for coffee. I don't really like its bitter taste. One cup a day is more than enough! Such a detailed explanation! I wish I could drink coffee but evertime I get a cup I just feel really sick and get a bad headache. Wah... min kaffe ni ramai gak peminat dia kan. Tak silap onie,cousin onie pun ada minum..
Not really a coffee addict but this sharing is good! Thank you! I should take more coffee now after reading your post. Hope will stay healthy always. I like coffee. sehari xmnum mula rse len mcm. Rawlin, cmane ye. Fadzi selalu pening kalau minum kopi ni. Tau tak kenapa? Fadzi, meaning you might have angin yang banyak dalam badan. Try hanya satu sachet and minum sikit2. high five from another coffee lover! i have actually stopped drinking coffee for a month as a test to see wether I can get better sleep if I stopped drinking coffee. well, nothing changed so I'm back drinking coffee yay! These few days I keep seeing info about how coffee benefit for our health. Am thinking should I drink back coffee from now on? Haha! I memang kena minum kopi setiap hari, usually i drink kosong no sugar and no milk. Hooray for coffee drinkers! I consume 3 to 4 cups a day especially during busy days. And consume tea during lazy days. Better consume coffee than soda. Wow... this is great! Especially for coffee lover like me. More reasons to have that cuppa. It's good? I can't sleep after drink coffee o... Not really into it... But if it's for health.. Mayb try drink it in morning..
Agree! i love coffee and need to have it every morning to kick start my engine. I enjoyed reading this because I'm a coffee lover! My morning is not complete without a cup of coffee. Thanks for sharing! Hi%! I kena drink coffee every morning, if not engine tak boleh start. Hi! How much caffeine is per sachet of Min Kaffe?